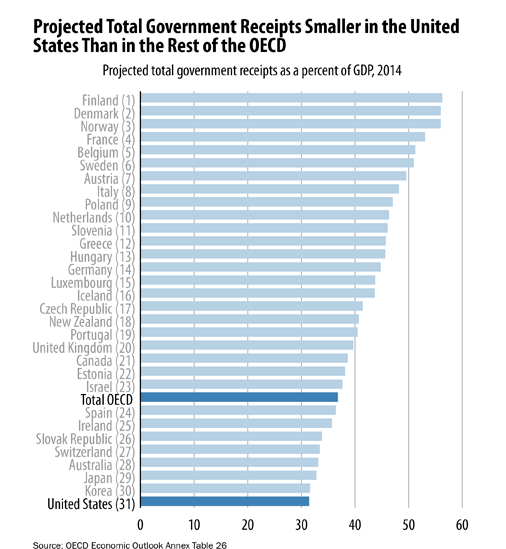 On Tax Day, it’s worth thinking about the ways to make the American tax system better. 4. 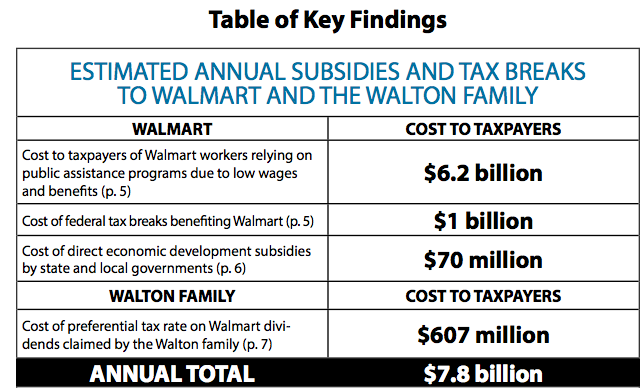 Some of your tax dollars are given to hugely profitable companies. 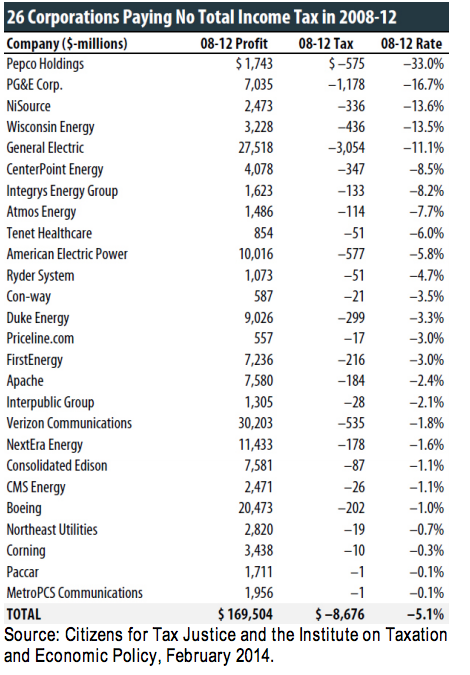 You’ll note in the chart above that these companies have a negative tax rate—meaning they actually get money from the government. This can come in the form of federal tax breaks and other preferential treatment of certain financial instruments. Then consider the subsidies given directly to industry, along with the safety net programs some of these companies force employees to rely on, and the number gets quite big. 5. Meanwhile, some people are actually taxed into poverty. Many high-profile conservatives like to complain about their supposedly oppressive tax rates. (Sean Hannity threatened to leave New York state because of the property taxes on his $3.6 million Long Island home.) But there’s one group—low-wage childless adults—who can literally be taxed into poverty. 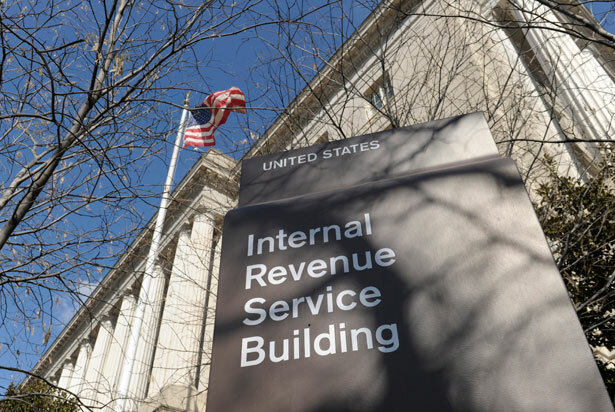 Americans don’t start owing federal income taxes until they’re at the poverty line. 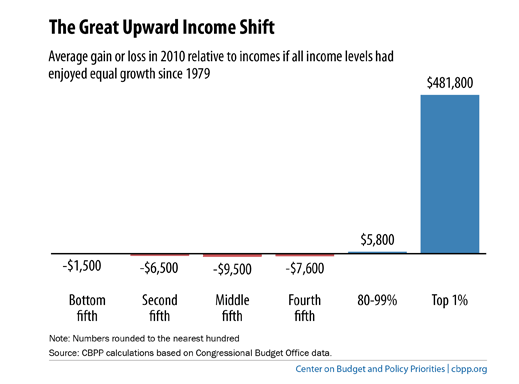 Moreover, the government gives Earned Income Tax Credit to the working poor to offset their payroll tax burden, which eats up a large share of their earnings. That works fine for low-wage Americans with children—but the EITC is oddly structured in a way where childless adults receive only a paltry credit. A childless adult earning poverty-line wages ($12,119 in 2013) would have a combined payroll and income tax liability of $1,139, but receive only a $169 EITC. This person would be below the poverty line once he or she pays taxes. 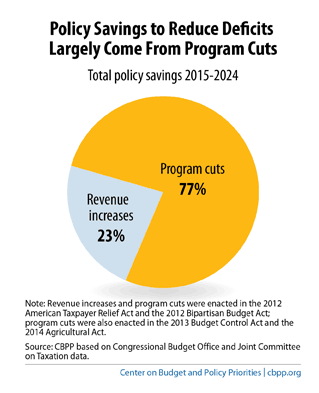 That doesn’t line up with the credits received by families with children, as this chart from the Center on Budget and Policy Priorities shows. 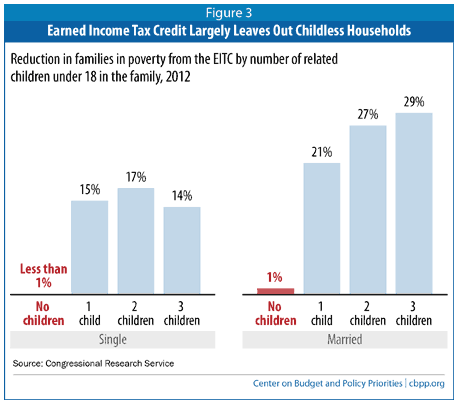 President Obama has proposed a dramatic boost in the EITC for childless Americans. 7. Much more revenue is out there. The Congressional Progressive Caucus has unveiled a budget plan that closes corporate tax loopholes and recoups lost taxes due to stashed overseas profits, and also contemplates a tax on Wall Street transactions. On tax day, the Progressive Change Campaign Committee unveiled 33,000 signatures in support of that budget. “It’s about fairness. 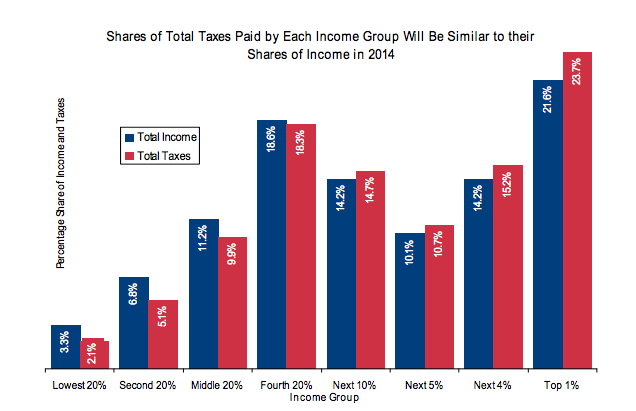 It’s about people paying their fair share,” said Representative Raul Grijalva, co-chair of the CPC, on a press call.